One of the very few known asterisms in the night sky is the Polaris engagement ring asterism. When seen from a dark sky site you may be able to observe a ring like pattern with 2nd magnitude Polaris itself forming the ornament on the ring. The stars that are a part of this are either in Ursa Minor or Cepheus. Approximately 10 bright stars and a few fainter ones (of magnitude 7 and 8), form an obvious circle, the ring, with Polaris as a diamond. This really is a beautiful asterism to observe with small telescopes with a low magnification! Because Polaris is part of this asterism, The Engagement isn’t hard to find. 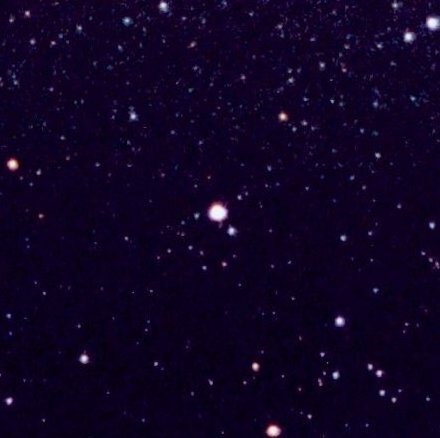 Recently this asterism got the attention of Canadian music producer Deadmau5 who named a track called HR8938 Cephei after one of the stars in this asterism. Previous PostComet Green Color is Not CyanogenNext PostHappy Republic Day !